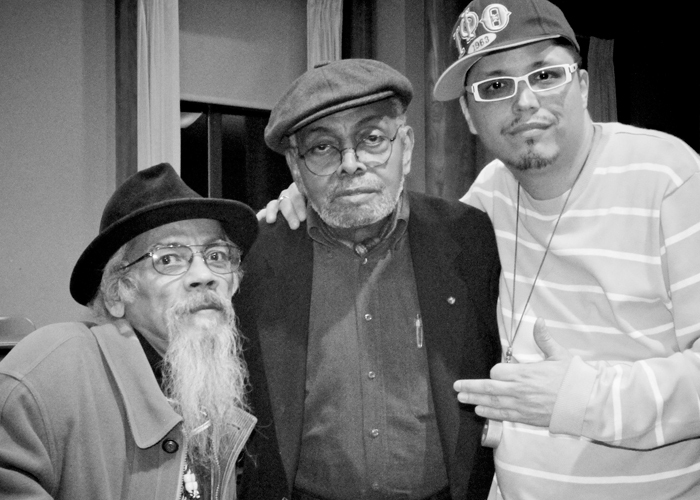 I’ve had the honor of knowing the literary genius, Louis Reyes Rivera, as my friend, hermano, mentor, editor, teacher, and fellow Nuyorican Poet. To say that other young writers and I were heavily influenced by his work would be an understatement. Louis was what many of us aspire to become as artists, human beings, and cultural workers. He was a committed African Diaspora scholar who was not only a master of his craft, but someone who firmly believed that the artist and writer should also serve as a servant of the people. He believed that we must all do our part to uplift humanity by addressing social and economic conditions through the arts. I met Louis Reyes Rivera years ago at the North East Latino Student Conference in UMass Amherst in Massachusetts. I was one of the main folks to push the most for his attendance as a main speaker. I finally got to meet Louis in person at the Campus Center Café a few hours before he was to open for Dr. Martha Morena Vega at the conference. A few hours later after telling bochinches, sharing history, dropping names on our shared acquaintances, and comparing personal notes, we found that we had common interests. We were two boricua brothers from different mothers, but we were united in this thing called the struggle. 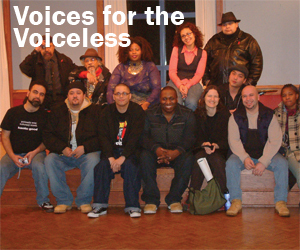 A few years later, at the first annual Voices for the Voiceless Poetry™ Massachusetts concert which I founded, I was able to humbly honor Louis with a lifetime achievement award for his contributions to the arts and to the community. I named the award in his honor, The Louis Reyes Rivera Lifetime Achievement Award™, and worked with students in the Western Massachusetts five college communities to promote the annual diaspora Voices concert, which highlighted poets and artists who were unsung. Each year after that first award, I contacted Louis and told him who I had in mind to get the award. He gave suggestions on possible candidates, and together we worked hard to honor artists who have made an impact on the diaspora. 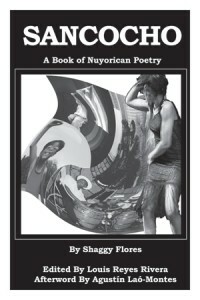 The recipients of this award read like a who’s who of artistic and creative giants in the African Diaspora community. Over the years, Louis edited many books, including my first book Sancocho: A Book of Nuyorican Poetry, and Nuyorican Poet Bonafide Rojas’ first publication Pelo Bueno: A Day in the Life of A Nuyorican Poet. In addition, Louis collaborated with Dr. Tony Medina (Howard University) and Bruce George (Founder of Def Poetry Jam) to edit two seminal anthologies Bum Rush the Page, and The Bandana Republic. These two publications were a true reflection of the new literary cannon that is currently being created in American literature, as all three featured some of the best writers in the country sharing their craft openly because of their profound respect for Louis. I will miss picking up the phone to call mi hermano to ask for advice or to complain about some of the struggles artists face. I remember that my calls to Louis would last for hours, and he always started the conversation by asking about my family, health, and current projects. He also informed me about his new works. Louis was brilliant. He was one of those individuals who are extremely rare to find in today’s society. One of the last stories I remember hearing from Louis was about the time he met Nina Simone with James Baldwin. He told this casual story to a group of poets during late dinner after a Voices for the Voiceless concert. Most of the group asked what it was like to meet Nina and James. My question to him on this historic encounter, which I now wish I had said out loud, was “what was it like for Nina and James to meet him?” Louis will be the Nina and James of our time.He was a badass legendary brother who took “no mess” from anyone. He was quick to assassinate you with the pen when it came to history and politics. While he often chuckled when Bonafide Rojas or I referred to him as Yoda (Star Wars) in poetry circles, there was some merit to this nickname. He possessed what is known as la fuerza. If you got close enough to him, you knew that you were surrounded by someone of immense power. He was, and always will be, the real deal, and I hope that all of us who were touched by him could one day live to all his expectations. Pa’lante hermano, see you in the next lifetime! Manteca!